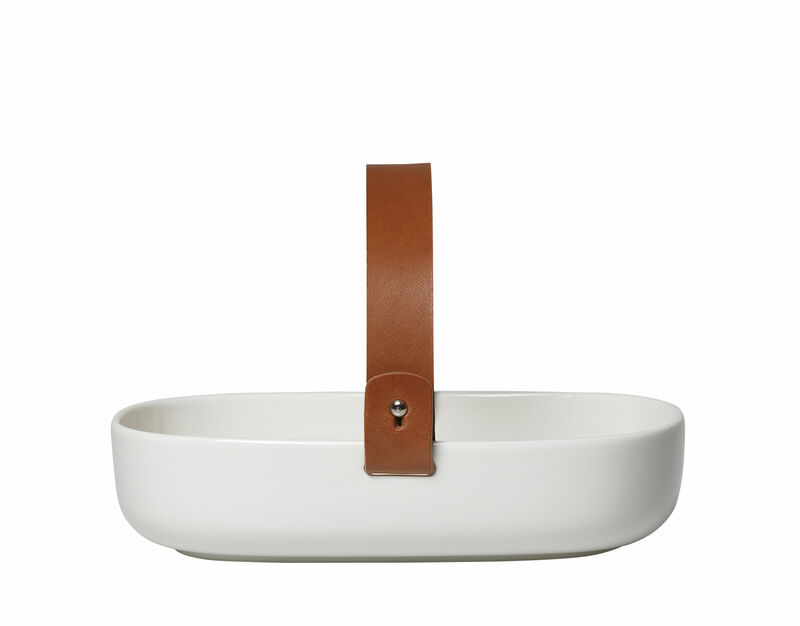 Very elegant, this white ceramic dish has a wonderful detachable natural leather handle. Once the handle is taken off, the dish is dishwasher-safe and can go in a traditional oven, a microwave and the freezer. 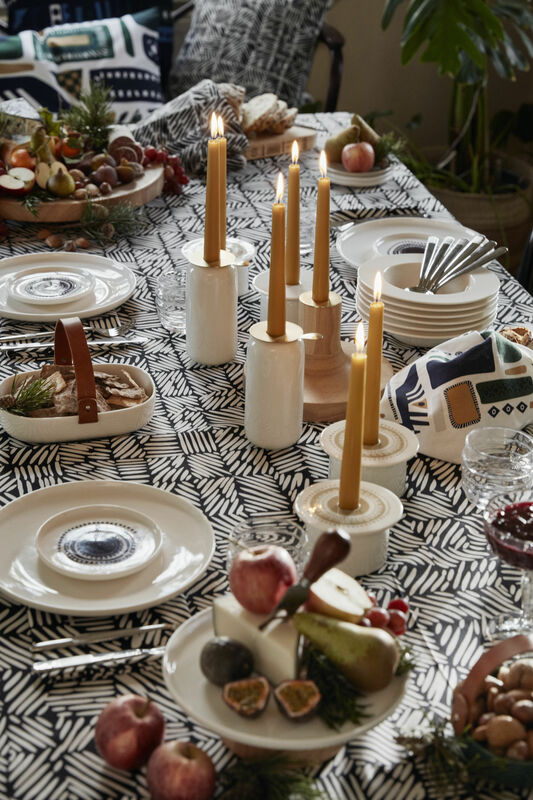 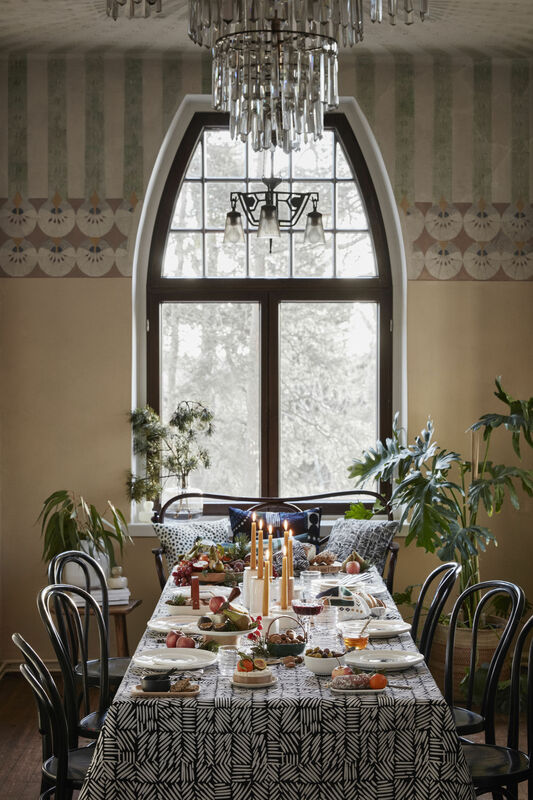 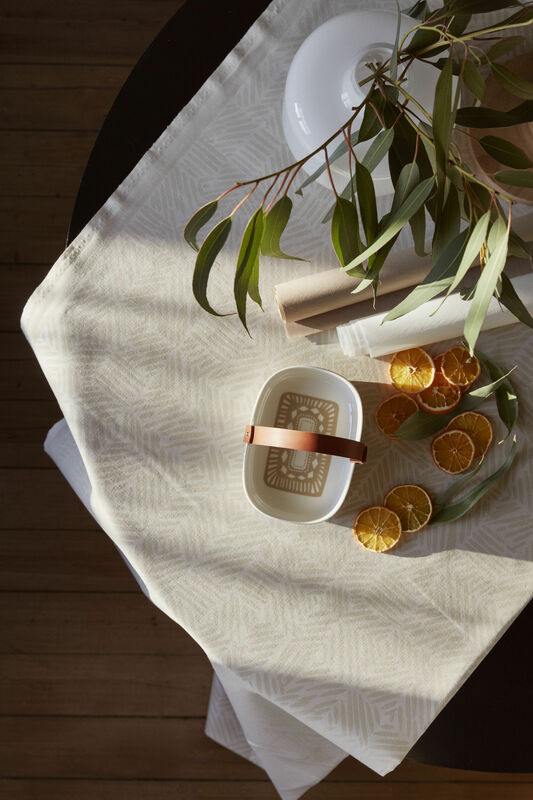 On the bottom of the dish patterns are printed inspired by embroidery from Eastern Europe. 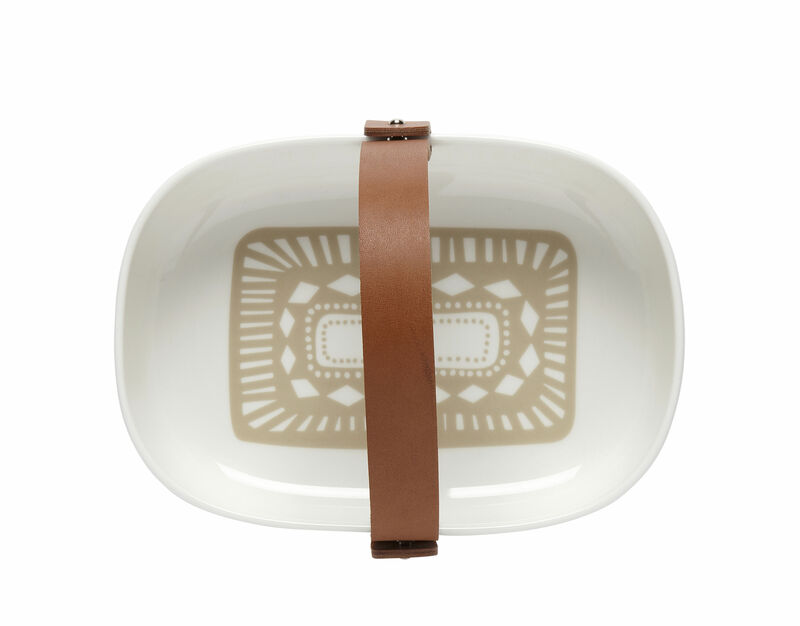 Both practical and sophisticated, this dish goes straight from the kitchen to the table. 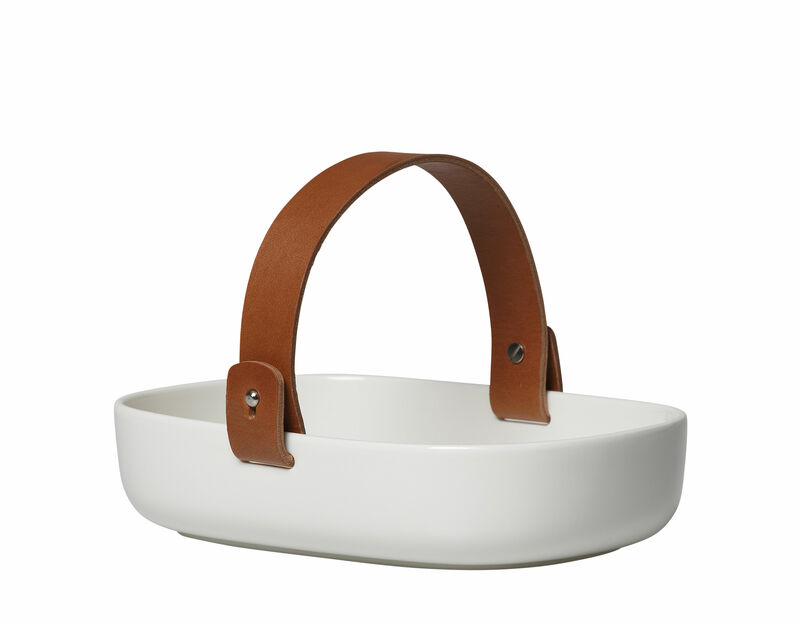 It can be used as a fruit basket or fruit bowl.